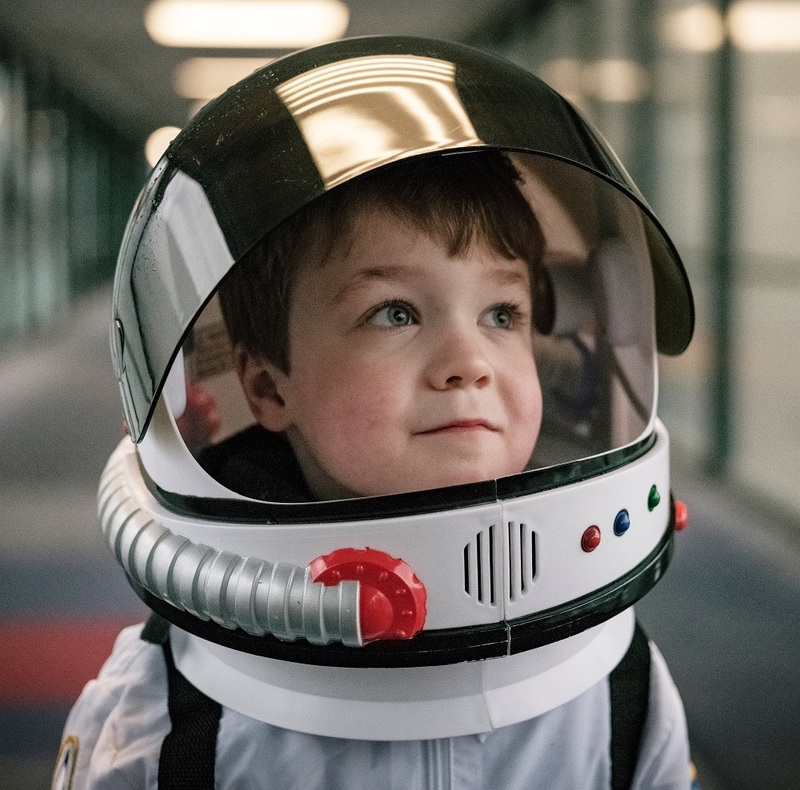 The idea of Small Steps are Giant Leaps came to Astronaut Harrison's Dad while riding the bus with his 4 year old son, what was a normal everyday event to him had his son completely transfixed. Seeing that look of amazement on his face, at something so common place, really struck him. In that moment he realized that his son is an explorer and the everyday world that we take for granted to him is an amazing place filled with new sights and experiences. He knew in that moment that he wanted to somehow document his son's journey of exploration. 18th months, 3 spacesuits, 2 helmets, and more than 50 photo shoots later, Astronaut Harrison's Dad is so proud of his little astronaut. Astronaut Harrison really enjoyed working on the project and used the experience to help him get over several childhood fears. They shot everywhere from the museum to the city pool and have traveled from dusty country roads, to the Florida Space coast and right here in Washington, D.C. They've had great support from people inviting them to photograph in movie theaters, old school barber shops, expensive hotel rooms, and, back where it all began, on the city bus. We hope these images will help be a reminder for you to take a moment and make a new discovery or explore a little bit more of your world, every single day.